In a few days it will be October, the month of Halloween, the month of sugar, the month of chocolate and the month of calories. Don't you wish you could have your candy with less junked ingredients? Now you can UNJUNK your candy!!! A new brand of candy is available just in time for Halloween! UNREAL™ BRAND is now available in stores such as CVS, Walgreens, Kroger, and will be available in more retailers this Fall. 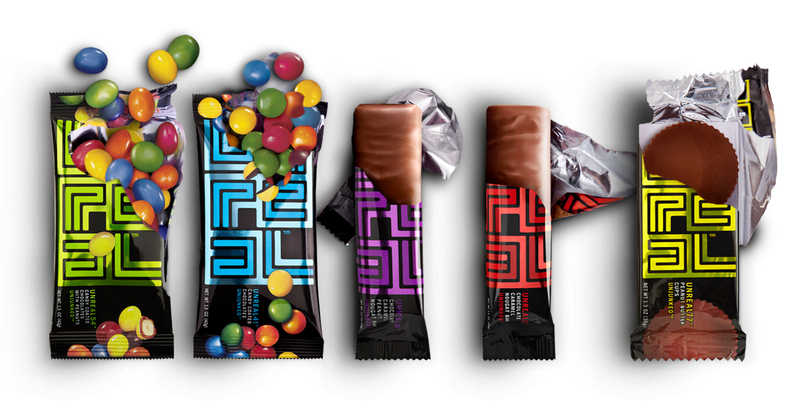 My favorite is UNREAL™ 54, candy coated chocolate with Peanuts. The candy has a nice crunch, the peanuts taste so fresh, just like you cracked open a peanut shell, and the coating is made with plant juices. I love the deep rich colors of the shells. UNREAL Candy cost about the same as a typical Candy Bar. 30% LESS SUGAR, 60% more protein and 250% more fiber per serving on average compared to leading brands. Who's idea was UNREAL™ ? Head over to UNREAL's web site to read all about a 13 year old named Nicky Bronner. He was determined to prove he could unjunk candy, and he did. Disclosure: I received UNREAL™ BRAND Candy in order to write this review. The comments, taste buds, and views are my own.